Germination is reported to be higher in the presence of light for this genus. Plants grow 30 to 100 cm tall (4), but can be planted approximately 30 cm apart. 2. Jacobson, Arthur Lee. 2001 “Wild Plants of Greater Seattle” Arthur Lee Jacobson. Seattle, WA. 4. Pojar, J. and MacKinnon, A. Plants of the Pacific Northwest Coast. Lone Pine Publishing, Redmond, WA. 1994. 6. Wick, Dale; Evans, Jeff; Luna, Tara. 2001. Propagation protocol for production of container Osmorhiza chilensis H. & A. plants (160 ml conetainers); Glacier National Park, West Glacier, Montana. In: Native Plant Network. 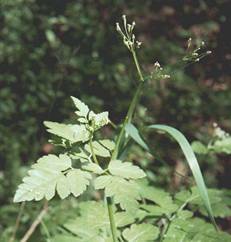 URL: http://www.nativeplantnetwork.org (accessed 5 June 2004). Moscow (ID): University of Idaho, College of Natural Resources, Forest Research Nursery. 7. Young, Betty. 2001. Propagation protocol for production of container Osmorhiza chilensis H. & A. plants (Deepot 16); Golden Gate National Parks, San Francisco, California. In: Native Plant Network. 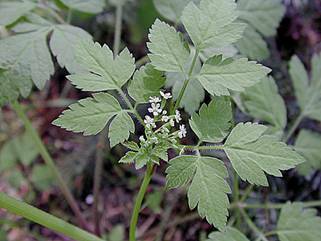 URL: http://www.nativeplantnetwork.org (accessed 5 June 2004). Moscow (ID): University of Idaho, College of Natural Resources, Forest Research Nursery.